After a Ferrari (NYSE:RACE) front row lock-out in Monza Saturday, the Tifosi were passionate for a 1st win for The Scuderia since Y 2010. But although there were boos as Lewis Hamilton collected his winner’s trophy on the podium, the British driver maintains that he channeled any negativity there might have been into his outstanding race performance in Italy. Mr. Hamilton sealed his 68th career victory with a clinical move around Kimi Raikkonen into Turn 1, having reeled him in with a succession of hot laps as MercedesAMG team mate Valtteri Bottas backed Kimi Raikkonen into the reigning champion’s grasp. And as he pulled into parc ferme, a visibly emotional Lewis Hamilton buried his face in his hands and steeled himself to face a Sea of Red. 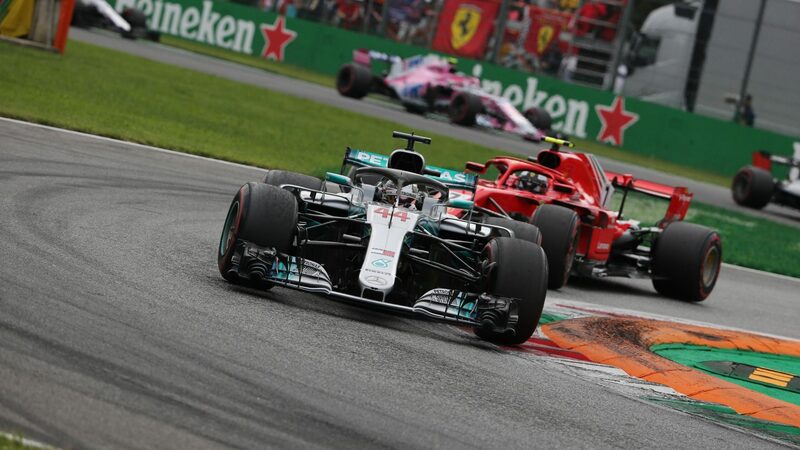 Another race-defining moment for Hamilton came on Lap 1, when he clashed with his title rival Sebastian Vettel going into Monza’s 2nd chicane. While Mr. Vettel was spun around and had to come in to change his nose – before going on to finish P4 – Mr. Hamilton was able to continue in 2 nd place, just behind Kimi Raikkonen. “It was intense,” was Hamilton’s own view of the scrap. “Powering down to [Turn] 4, I was a bit surprised that Sebastian chose the inside rather than the outside of Kimi. I had an opportunity, and I stuck it down the outside and made sure I was far enough alongside. I remember I had the experience a few years ago where I was on the inside and that didn’t come off very well. But I thought there was enough space between us. “The restart was obviously really good and then straight after that, Kimi came back past me, and while it’s never good losing a positon, it was a great move from him. I left him room. Mr. Hamilton went on to pay tribute to Sunday’s pole-sitter Raikkonen, saying that it was “a real honor to race against a great Finn such as him. Mr. Hamilton’s 5th win at Monza also equaled the record of 7-time world champion Michael Schumacher. And while none of Mr. Hamilton’s wins has ever been for Ferrari, as all of Schumacher’s were, the MercedesAMG driver was still humbled by his matching Mr. Schumacher’s achievement. “That’s cool,” he said when told of the stat. “I have such a bad memory that I didn’t really realize I’d had that many here. It feels like the 1st, if I’m really honest, with the way the race went.